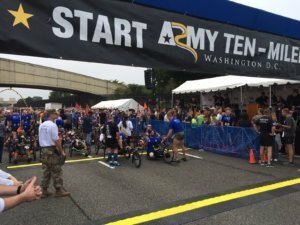 WASHINGTON — Roughly 35,000 people were up bright and early Sunday outside the Pentagon, ready to run the 34th annual Army Ten-Miler. The race draws people from all 50 states as well as those from other countries who want to run from the Pentagon into D.C. and back again. Runners took off promptly at 8 a.m. as a cannon fired in the distance. The last waves of runners were still waiting for their turn to start as the fastest elite runners made their way across the finish line. Frankline Tonui was this year’s winner, crossing the finish line in a time of 50:23. Right on the heels of the soldier stationed at Fort Sam Houston in Texas was Evans Kirwa, who is also stationed there. Seven seconds behind them, Girma Mecheso finished in third place. Susan Tonui was the fastest woman, finishing in 56:33. In second place was Julia Roman-Duval of Columbia, Maryland, at 57:17 and in third was Emily De La Bruyere who finished in 59:07. Greg Sloane of Gaithersburg, Maryland, who also coaches on the track team at Montgomery College, was the first local runner to cross the finish line. Last year he finished in 14th place overall. This time he finished in sixth. 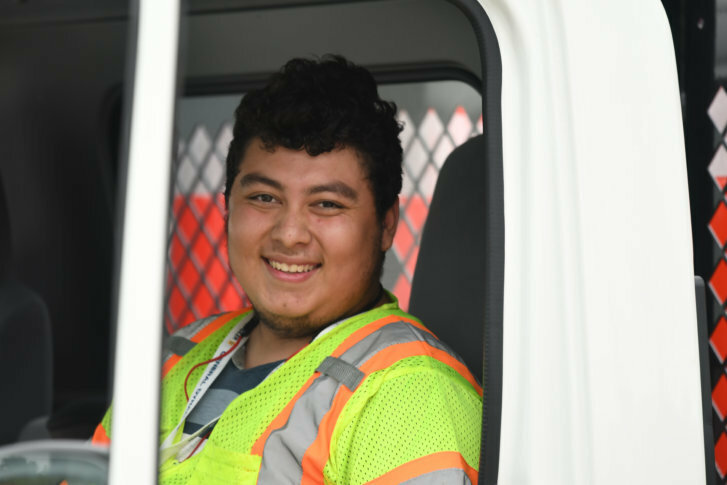 An unseasonably warm and humid day had race organizers taking extra precautions this year, after so many runners got sick last year when it was even more steamy. And repeat runners, especially those who did get sick last year, were making adjustments. Maura Lindee of Sykesville said she was going to be more conservative with her pace, while hydrating better through the first half. “I definitely learned a lot last year,” she said. Greg Mandeville, 64, of Cumberland, Rhode Island, echoed those sentiments, explaining why he has been running this for the last ten years.